Susan Barber is Assistant Director for Manufacturing Programs and Development for Industry Expansion Solutions (IES). Susan is responsible for leading existing statewide manufacturing programs as well as developing new programs to serve the manufacturing sector. Susan has more than 15 years of event management experience including serving as the Director of Business Education at the NC Chamber and as Manager of Special Projects at the NC Department of Commerce. 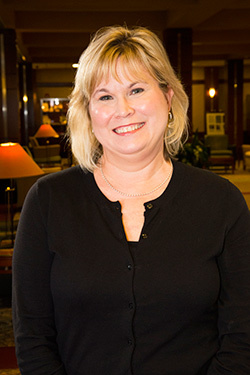 Susan received her bachelor’s degree in education from the University of North Carolina-Chapel Hill and has completed certificate programs in event planning, non-profit management and basic economic development.